In order to pursue corporate social responsibility and sustainable development, Everday Technology supports the United Nations-sponsored SDGs (Sustainable Development Goals) to fulfill corporate social responsibility. 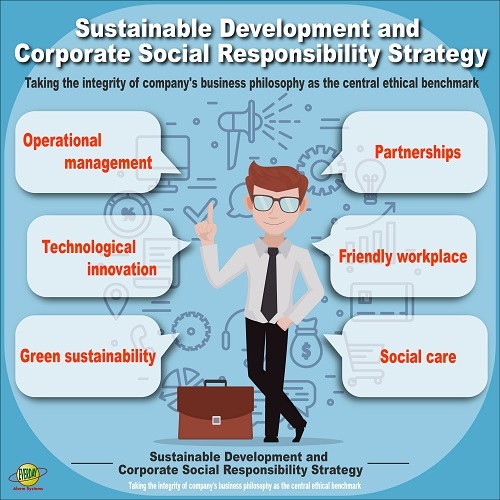 By evaluating the risks, challenges and business opportunities we are facing, and combining business philosophy based on integrity as the central ethical benchmark for sustainable business, we have set up a forward-looking sustainability management strategies that covers six various aspects : operational management, partnership, technological innovation, friendly workplace, green sustainability and social care . These are the foundation of our operation and management that we will follow and implement to come up with short-term and medium-term goals and management guidelines, to be able to comply with the 17 Sustainable Development Goals (SDGs) developed by the United Nations Sustainable Development Association and the international trend.